I’ve spent a lot of time hunting in portable tree stands during the whitetail firearms season. I’ve often thought that it would be great to have a better way to get a steady rest in some of these portable stands. The folks that developed the Skyrest Tree Stand Shooting Rest, came up with a pretty clever solution to this problem. 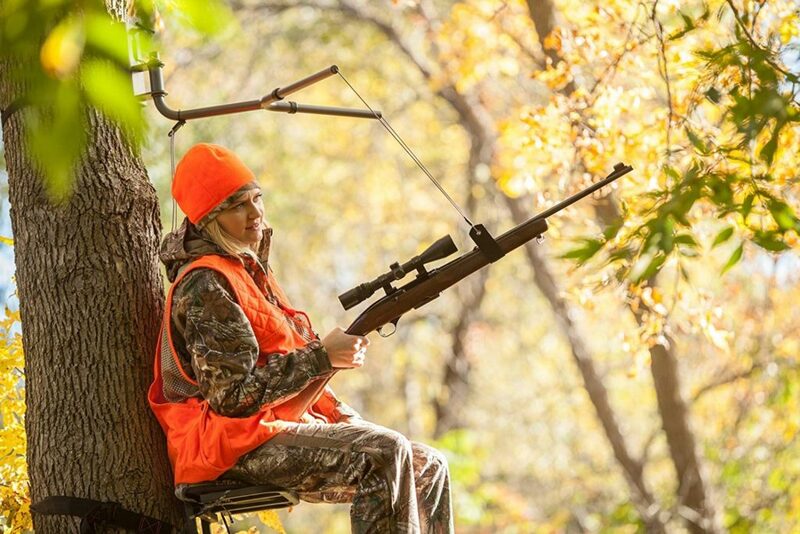 The SkyRest is a gun rest for your tree stand. But unlike other gun rests you may have seen, what’s clever about this design is it’s the only rest I’ve seen that mounts to the tree above your head, providing a hanging support system for your gun. Well-before deer season, set up the SkyRest under a tree with a lawn chair, just to get a feel for the unit. Set up only takes a couple of minutes. 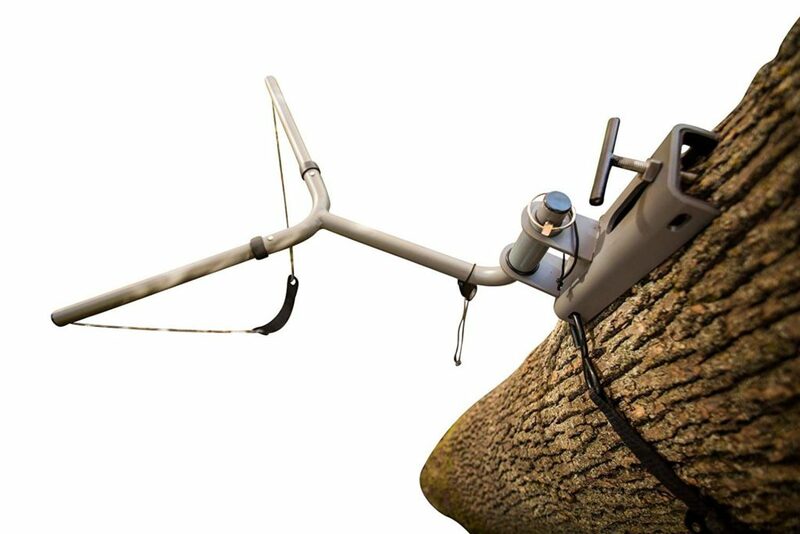 The system attaches to the tree using a simple T-screw, similar to the ones used in tree stands, as the main anchor point for the unit. It also comes with a cargo strap that you loop around the tree to hold the lower half of the base in place. Once you’ve tightened the strap down, and after assembling the tube part of the rest, you’ll want to try it out. Set up is not hard, but you’ll definitely want to practice assembling the SkyRest before your morning sit on opening day! 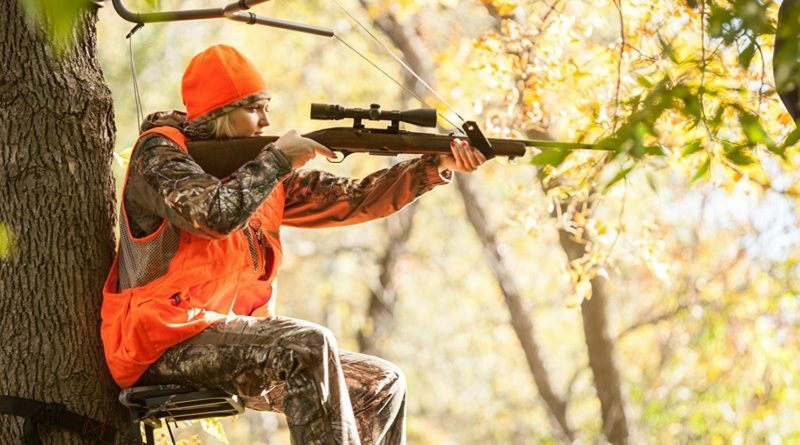 Once your SkyRest is set up, set your rifle’s forearm in the “saddle”. This is a nice feature because even at rest, your gun is secure and at the ready. To use, simply hold the saddle with your front (left) hand as you shoulder the gun. You can adjust your vertical aim with a pull cord, but in most cases, you’re able to get quite a range of motion by just adjusting where your gun rests in the saddle. There’s a little learning curve on how to balance the weight of the gun against the SkyRest, but once you get the feel, the benefits of the SkyRest are clear. You’re able to have a very steady aim—and with a little side-to-side push or slide of my front grip, you can move that steady aim horizontally or vertically. One thing that SkyRest does better than other solutions I’ve seen is its ability to pivot that steady aim almost all the way around the tree in either direction! For the right scenario, like portable stands with opportunities for long shots, the SkyRest is definitely worth looking at to help you make a more accurate shot this fall. The SkyRest Tree Stand Shooting Rest retails for $60 and is available at theskyrest.com or Amazon. Editor’s Note: As with any tree stand or firearms accessory, be sure to follow all safety instructions provided by the manufacturer.